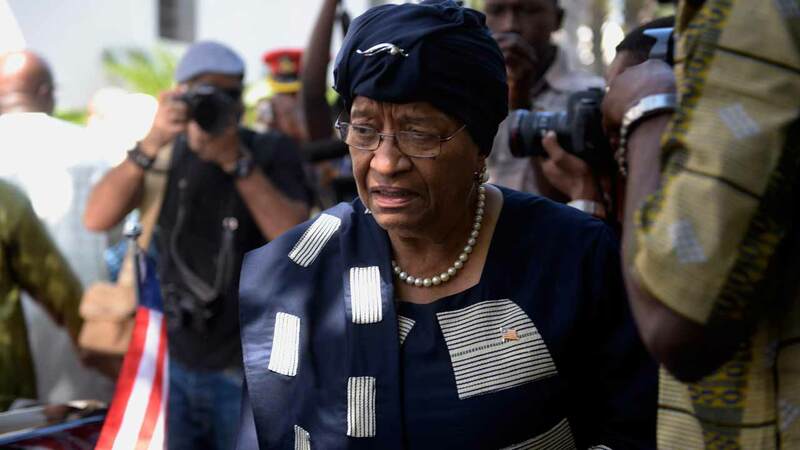 Liberian President Ellen Johnson Sirleaf on Monday hit back at claims by her own vice-president that she had interfered in the election to choose her successor by meeting polling officials at her residence. Vice-President Joseph Boakai came runner-up to former international footballer George Weah in the October 10 presidential election, triggering a runoff round as neither man won a majority of the votes. The ruling Unity Party, backing Boakai, said on Sunday it would join two other parties in lodging complaints with the National Elections Commission (NEC) over what it termed Sirleaf’s “interference with the electoral process”, along with other issues of “massive systematic irregularities and fraud”. Piah confirmed Sirleaf had met NEC officials at their request, but disputed that this constituted interference. “All meetings, interactions, or exchanges between the office of the president and the National Elections Commission were consistent with her constitutional right to ensure that the electoral process was fair,” he added. Boakai’s Unity Party has already joined a complaint by the Liberty Party lodged directly with the electoral commission over voter registration cards printed without serial numbers and handed to illegible voters, but the matter has yet to come to court. The vice-president confirmed in a press release on Monday he would still participate in the runoff vote on November 7, adding that the claims filed with the NEC “must be clarified” beforehand. Boakai has publicly questioned Sirleaf’s commitment to his campaign and his supporters have claimed she backs Weah for president, despite the former AC Milan star belonging to a different political party. Weah on Monday told his supporters “don’t be deceived, nor distracted by our detractors”, and reminded Liberians of the 2005 presidential election he lost to Sirleaf, a result which he ultimately accepted after a Supreme Court challenge found in her favour. “What Joseph Boakai is feeling now, I felt that way in 2005,” he told a press conference. Boakai’s announcement came despite international calls for all sides to ensure Liberia’s first democratic transition in more than seven decades goes smoothly and to accept the official election results. “It is imperative that all political parties allow the NEC and the courts to fulfil their function in this process and respect the court’s final decisions,” said Jason Carter of the US-based Carter Center group of international observers.